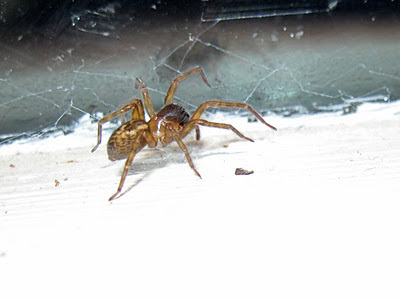 Last week I noticed a female Amaurobius similis, also called lace webbed spider, on the kitchen windowsill. After a few moments - enough for me to take her photo - she quickly retreated to a crack between the sill and the window frame (photo below). These spiders usually live in holes in walls, fences or windows, and have a characteristic fuzzy sticky white silk that radiates in strands away from the hole. Yesterday, late at night, I found the handsome male on the top photo, right next to the female burrow. It is not the first time I find wandering Amaurobius males in the house the first months of the year. Males and females mature in the autumn and males often come out of their burrows to find females. Once the male finds a female's burrow he will drum the threads with his legs and often vibrate his abdome too. They are fierce-looking spiders, with large, dark head and chelicerae, bright, orange legs with darker rings, and nicely patterned abdomen with lighter chevrons. Males have longer legs than females. 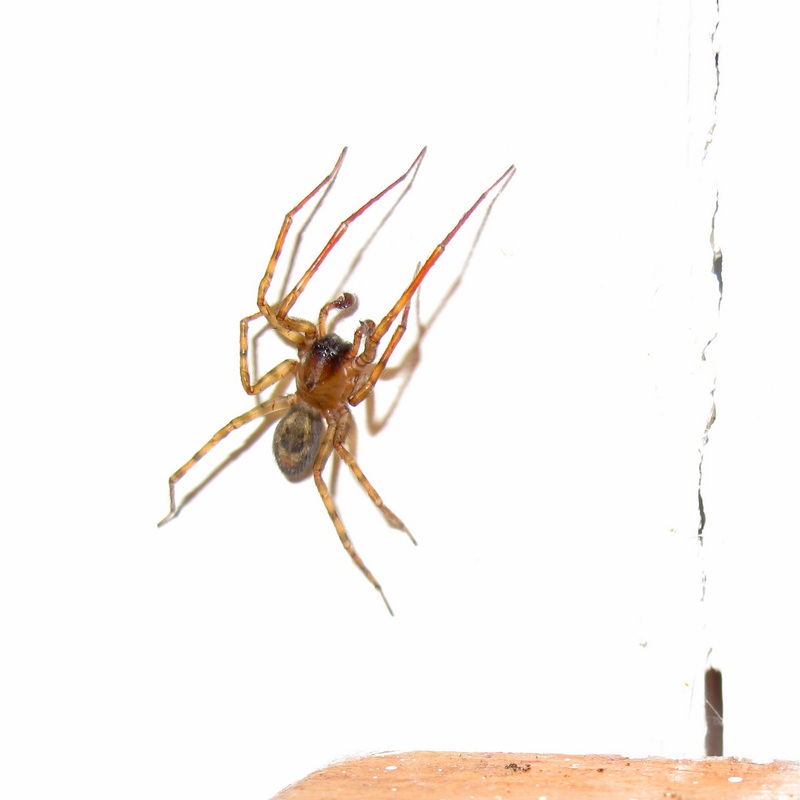 For more on Amaurobius spiders in BugBlog click here.